Justin replaced in the 2012 Broadway revival of Annie for the final two months, playing Lieutenant Ward, FDR's Acting Secretary of the Treasury Henry Morganthau, a footman in Warbuck's mansion and Jimmy Johnson, radio's only masked announcer. Justin was the male swing and Dance Captain for the Tony-Award nominated revival of The Mystery of Edwin Drood at the Roundabout Theatre Company. He covered five men, performing them all along with several of the ladies parts as well. The show was nominated for five 2013 Tony Awards, and you can hear Justin on the new cast recording. 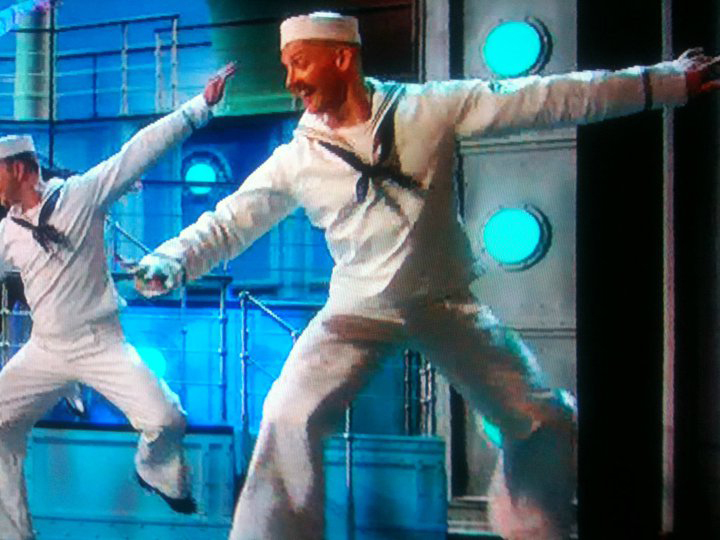 Justin was the male swing and assistant dance captain for the original company of the Tony award winning revival of Anything Goes with the Roundabout Theatre Company. Covering eleven men, including the Purser understudy, he also performed several ladies parts (dressed as a man, of course!) in emergency situations. He is honored to be a part of the cast recording and performed on the 2011 Tony Awards broadcast with the company. 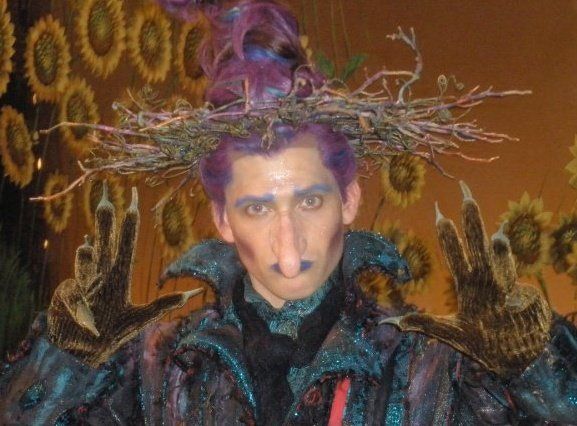 Justin was the dance captain and male swing for the original company of Shrek the Musical on Broadway. He covered nine men in the ensemble, encompassing an entire barnyard: Pigs, rats, bunnies, bears, wolves, as well as numerous fairy tale creatures. He also played all or part of the roles for all the women in the show in addition to covering the role of Pinocchio. His own Fairy Tale Creature was a flamboyant tree wizard, who was a big fan of Cole Porter, Barbra Streisand and Dolly Parton. From May 2004 until the closing of the show in April 2007, Justin was in the Broadway company of The Producers, where he was a swing, understudy, and Dance Captain. As a swing, Justin covered all seven men in the ensemble, encompassing more than 35 roles. He also covered the principal roles of Carmen Ghia, the flamboyant assistant to Roger DeBris, as well as Leo Bloom, originated by Matthew Broderick. He performed the role of Leo Bloom opposite Brad Oscar, John Treacy Eagan, Richard Kind, and Tony Danza. He was also the Dance Captain of the show for two years. In the 2006 movie version of the musical, he can be seen in the accountant scene (two desks behind Mr. Broderick), and in the Little Old Lady scene with Nathan Lane. He also sang on the soundtrack. Urban Cowboy played on Broadway from March 2003 until May of the same year. It was a short, but storied run. Justin was in the original company as JD Letterlaw, after performing the show at the Coconut Grove Playhouse in Miami in the fall of 2002. For the Broadway run, he was also the Fight Captain under Rick Sordelet. It was while rehearsing one of the bar room brawls that Justin was accidentally punched in the face, sending him to the plastic surgeon for 40 stitches, and leaving him with the ultimate memento...a two inch scar. Justin was a part of the workshop production of Suessical The Musical in Toronto in the summer of 1999. The workshop was one of the most thrilling and artistic experiences of his career. The material was wonderful, the workshop was moving, and it was coming to Broadway the following year. The Broadway production started out of town in Boston in the summer of 2000, and then opened on Broadway in November of 2000. It closed in May of 2001. The Seussical experience was tumultuous, but wonderful. Justin was in the ensemble, playing a Who boy, a miniature Cat in the Hat, a fish, Max the Dog, a lizard, a Barbaloot (which was cut for Broadway), a Who cadet, and a crazy clown. The very first Broadway show Justin ever saw was The Goodbye Girl at the Marriot Marquis Theatre, which starred Bernadette Peters. He sat in front row of the mezzanine, and cried, because he couldn't believe he was actually seeing a Broadway Show. In September of 1999, nearly ten years later, Justin made his Broadway debut as a replacement in the revival company of Annie Get Your Gun. It played at the Marriot Marquis Theatre, and starred Bernadette Peters.